Miss Divine UK Finals – 2018! Caerphilly is the largest town in the County Borough, and a sub-regional centre. The catchment area for the town includes Senghenydd, Abertridwr, Llanbradach, Bedwas and Trethomas, Machen, and Rudry, Waterloo and Draethen. This area has a population of approximately 53,000. The town is a popular tourist destination, due to the presence of the second largest fortress in Europe located in the centre of the town. The town has two shopping areas, each providing a distinct type of shopping offer . The Castle Court Shopping Centre, located directly opposite the castle, is home to a wide variety of multiple retailers including: Morrisions, Argos, WH Smith, Boots and Costa Coffee. 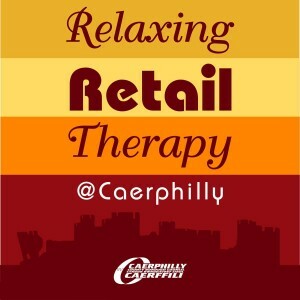 Whilst Cardiff Road is a more traditional shopping area featuring many of Caerphilly’s independent retailers, interspersed with familiar high street names including: Peacocks, Superdrug, Sports Direct and Iceland. Local residents and visitors have benefited from a new library and community facility in the heart of the town overlooking the castle. These modern, multi-million pound facilities have been part funded by the Council and Welsh Government and enable ease of access to a wide range of Council services in addition to a modern library. Future developments in the town centre will be focused on two sites: an area on the West side of Cardiff Road and a site in Park Lane overlooking the castle and in a prime town centre location. 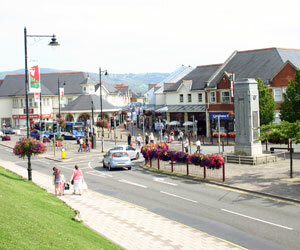 Caerphilly’s close proximity to the northern suburbs of Cardiff allows the town to be marketed to a much wider customer base. The historical character of the town makes it a real alternative to the big city experience.